Remarkable keepsake. 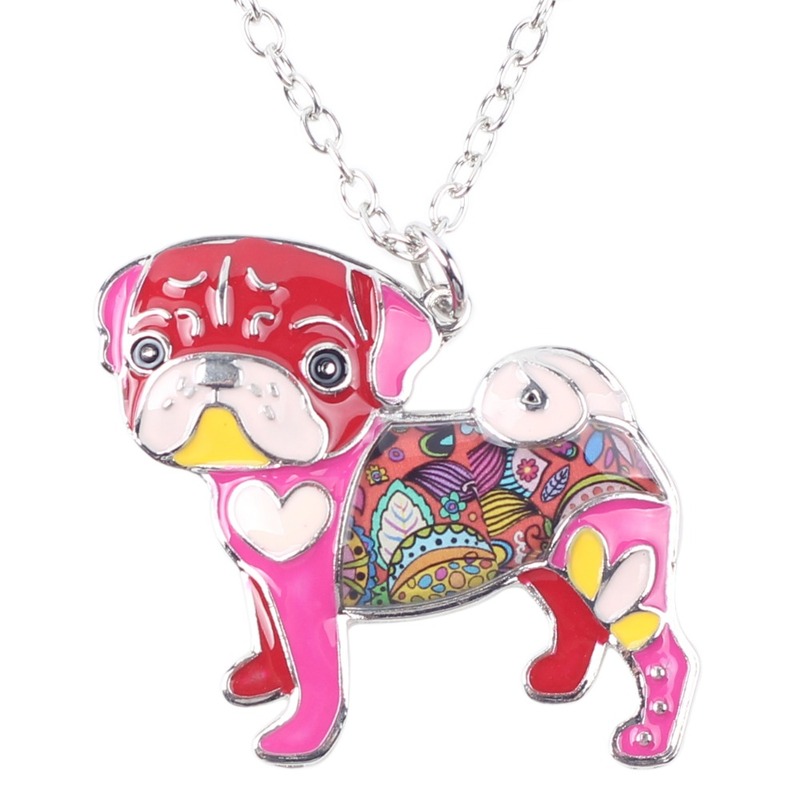 Because your pug carries a piece of your heart, keep it close to yours with this adorable pendant necklace. Perfect addition to any outfit. ﻿Comes in seven vibrant colors. Exquisitely crafted. Made with zinc alloy for a lustrous finish. Makes a memorable gift. 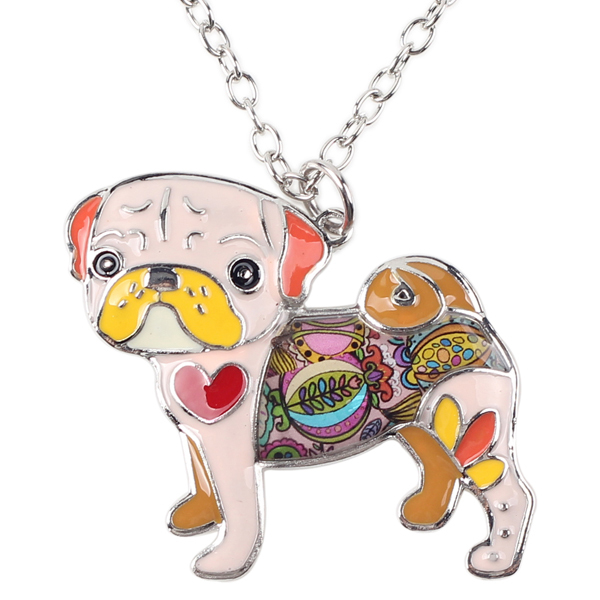 The perfect keepsake jewelry gift for dog lovers, including you. 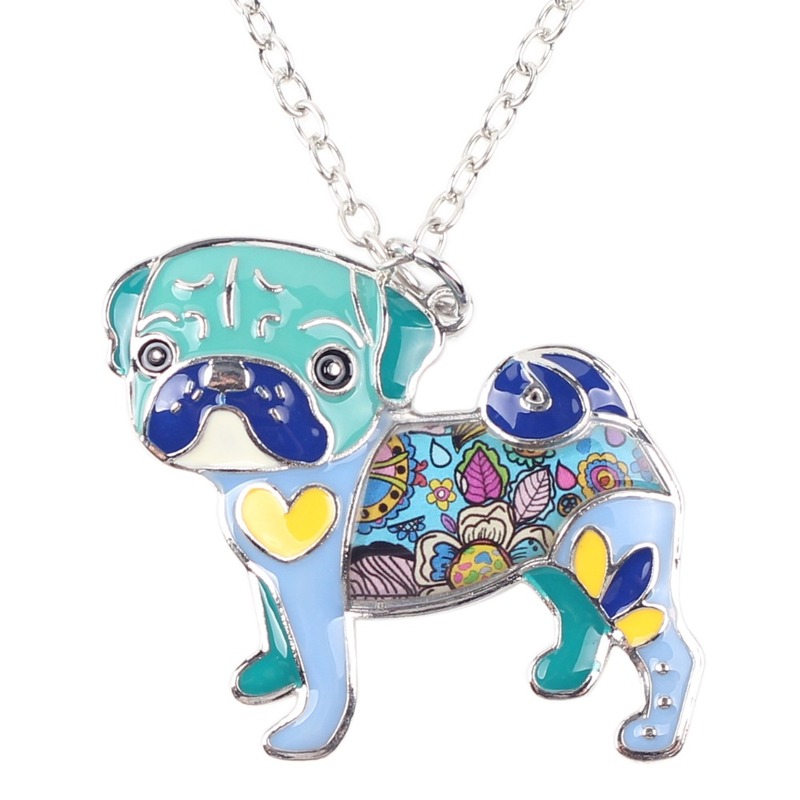 Captures the charm of pugs. 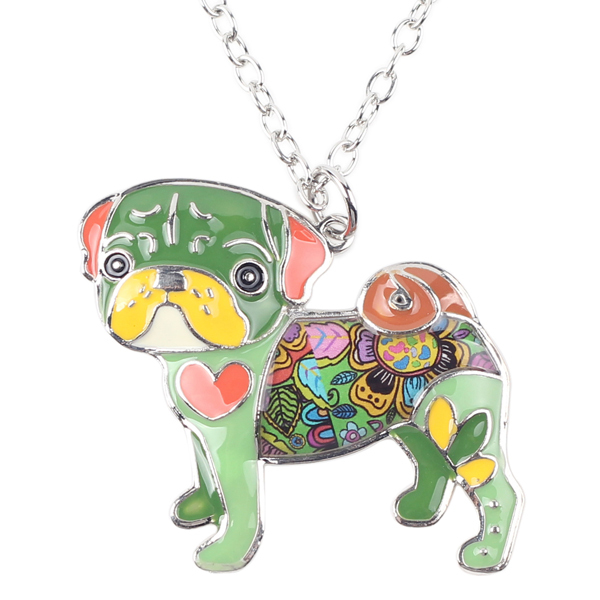 This necklace captures the playful, endearing nature of the adorable pug.